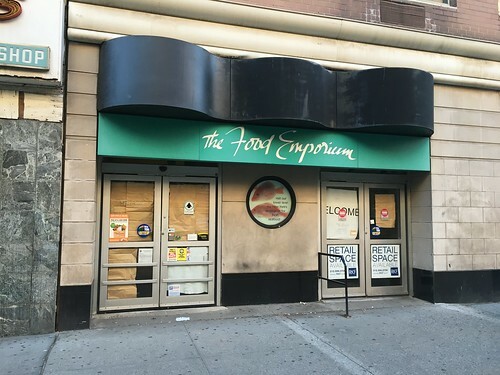 This week we're taking a look at the Food Emporium in the Upper West Side in Manhattan. This store opened in the 1980's after A&P took reigns of the chain. 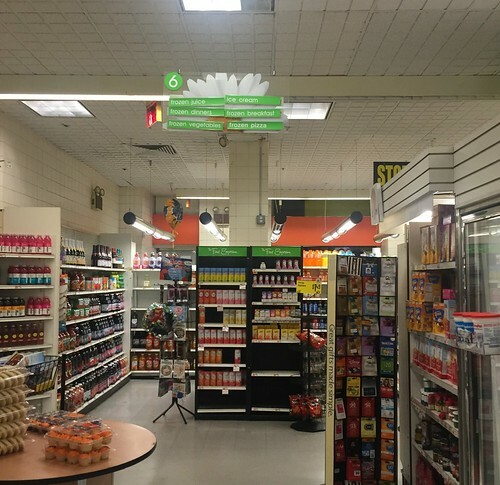 The store was remodeled extensively in 2007 (to the look today). 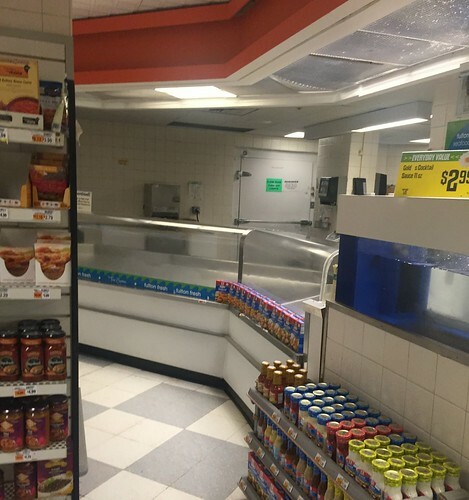 This was one of the Food Emporium locations that no stores picked up-- not even Food Emporium's new parent, Key Food. 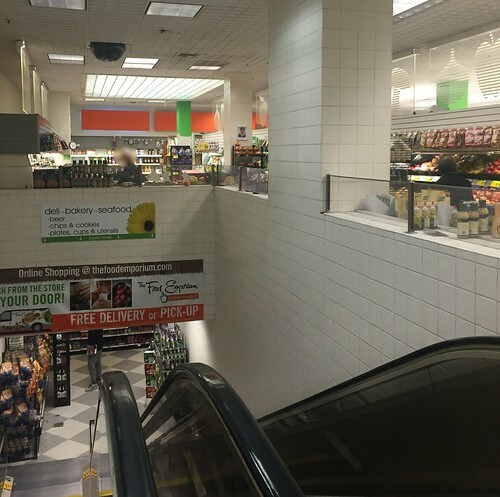 This store is on two floors, like a typical New York City supermarket. 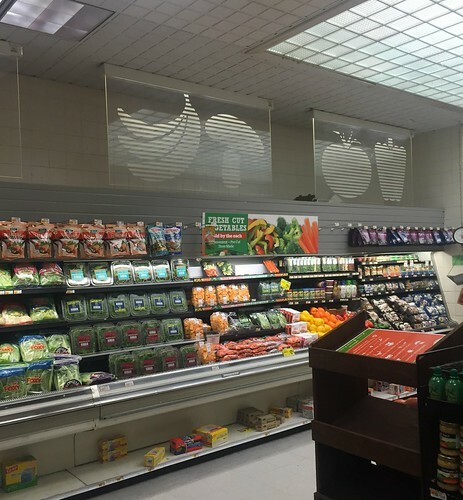 Produce is on the upper floor (with checkouts), and the aisles are on the lower level. 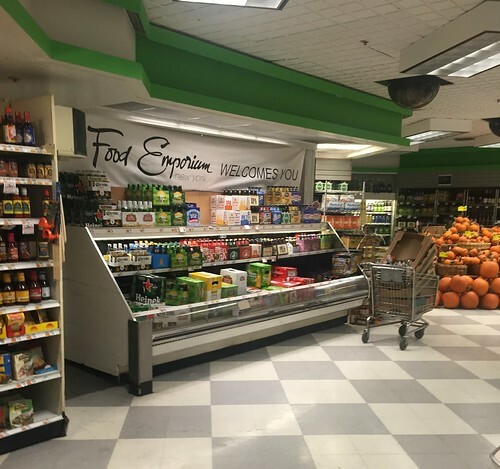 While this store is only 20,000 square feet, it surely packs in a lot of food! 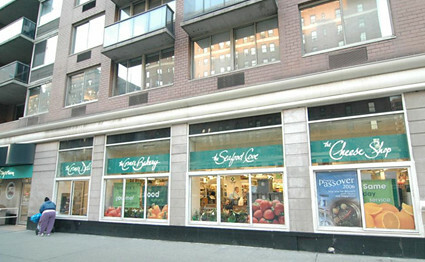 Older "Food Emporium" font in green. They would later change to black as the chain went "gourmet". This is a first... Food Emporium font for department signage! New banner "Welcoming" customers into the store at the Wine & Liquor department. The checkerboard floor is left over from a previous remodel. 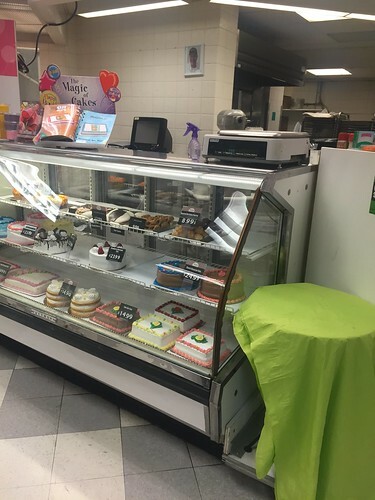 Bakery is winding down at this store... Styertowne took these photos a few weeks before closing. Seafood is over and out... but plenty of Tartar Sauce is left. New-age Food Emporium aisle markers! 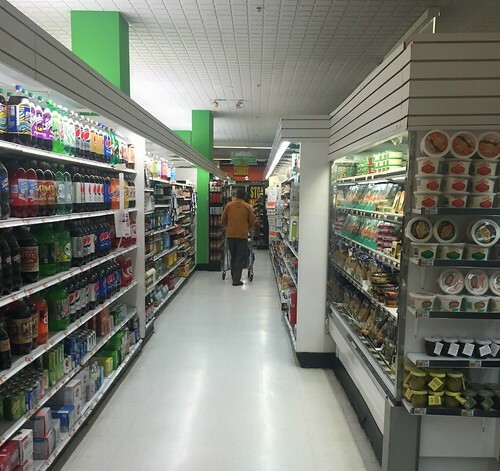 I kept seeing videos of this introducing this store, but I never saw the aisle markers. They really work with the wood-slat aisle toppers. Glowing panels above packaged meat... we saw this in the 90's Foodmarket package too. Drop ceiling with no lights... odd placement of the refrigerator cases here. One's out, one's in. 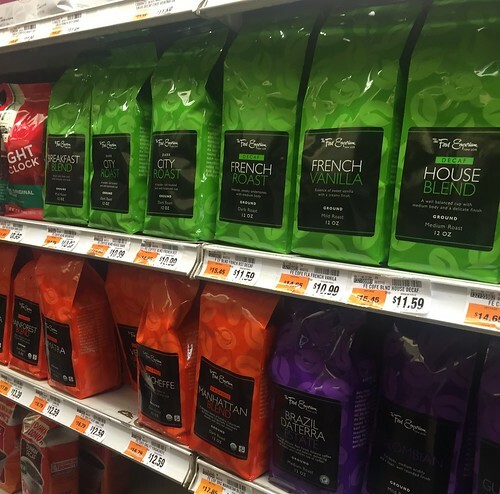 Exclusive private-label Food Emporium coffee next to some Eight O Clock. This was part of Food Emporium's private brand... The Food Emporium Trading Company. The new canvas boxes from Fresh 1.0, pretty much. Very neat! Pairs well with the ceiling above. 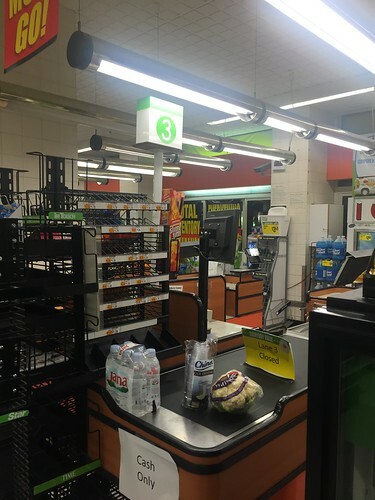 Small checkout lanes (that look to be from Fresh 1.0) line the front of the store, with new lighting above. Cart escalator going up and down! 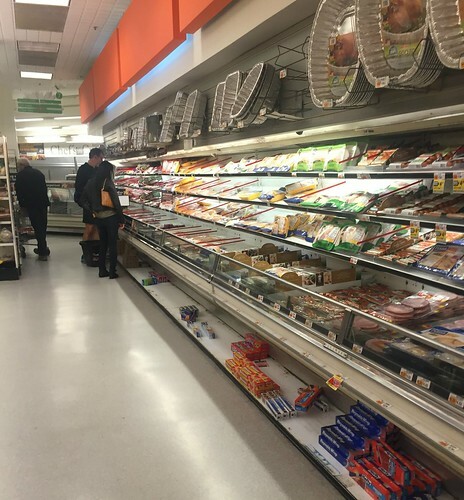 Looking at that one photo, it appears only the first case is refrigerated (the one with the pasta and sauces in the front right)? The rest is just beverages on shelves (like beer and such, not a cooler case)? Although no matter which is what, the odd angles are probably not surprising in these smaller stores (often fit into existing buildings where there could very well be things in the way that can't be moved - pipes, supports and such). My guess is that the placement of the case is because it is a different thickness than the shelving, which makes sense.